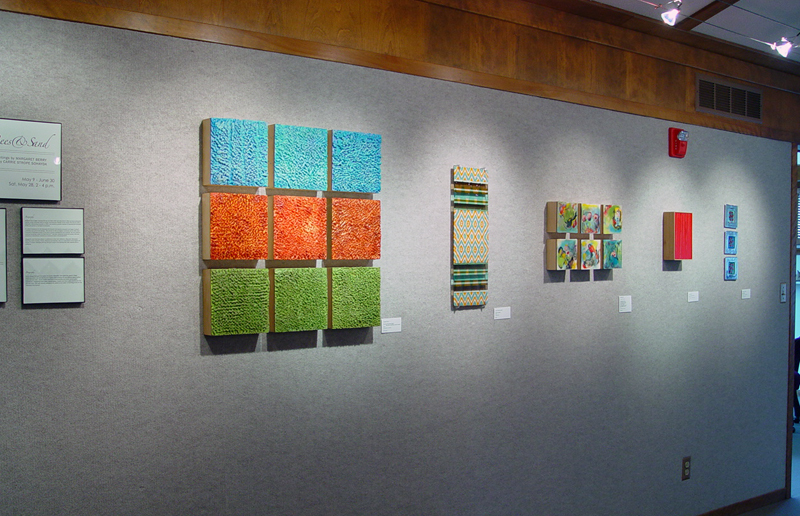 From Bees and Sand features artwork by artists, Margaret Berry and Carrie Strope Sohayda. 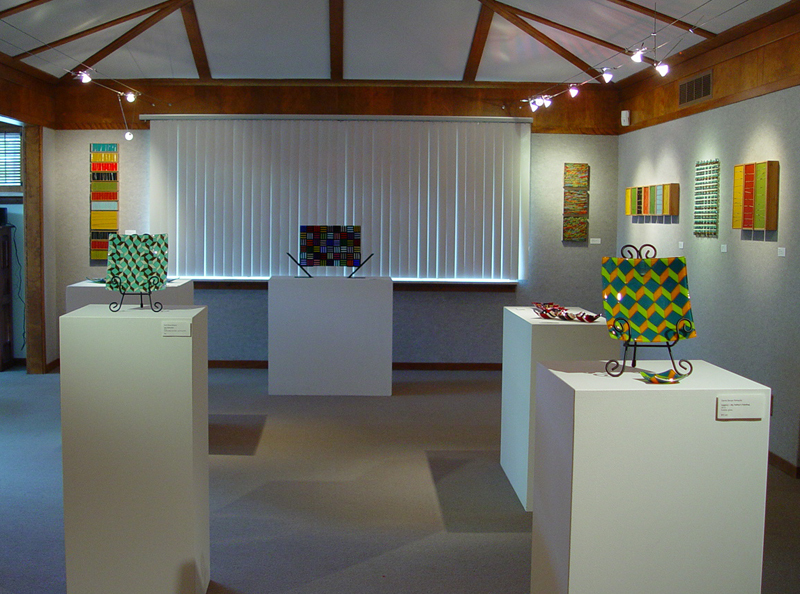 Both artists are based in Lincoln, Nebraska. 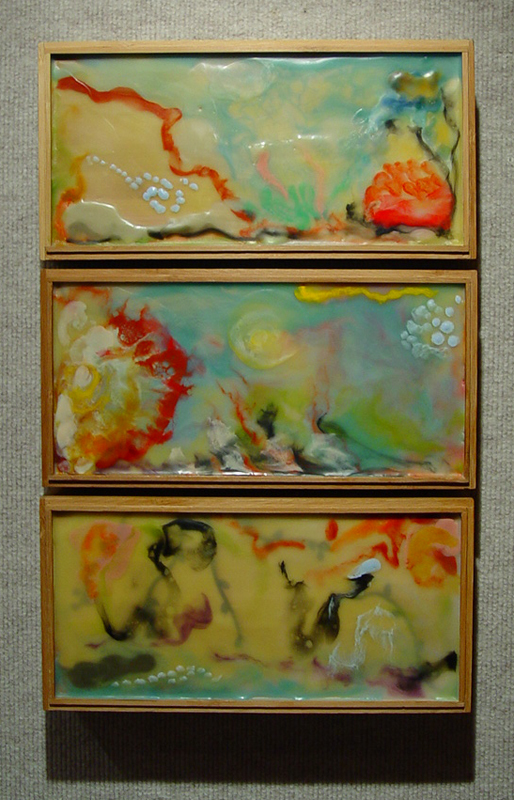 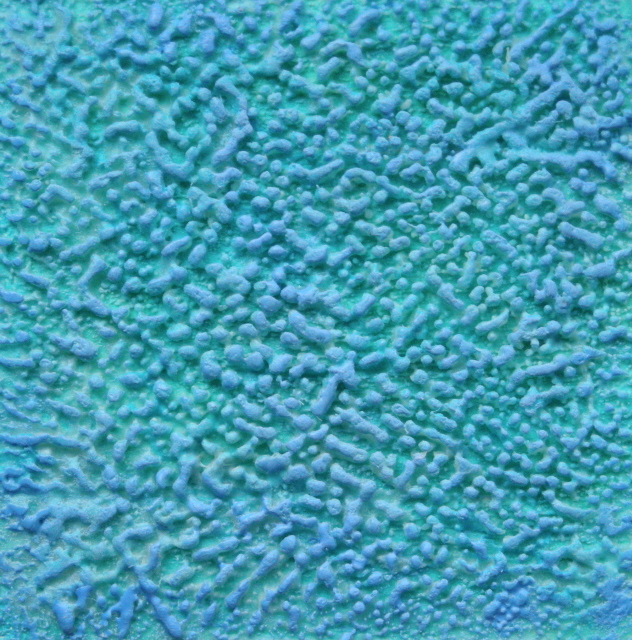 Berry works primarily in encaustic, creating colorful panels with hot wax reminiscent of landscapes, textiles, fertile fields, and imaginative dreamscapes. 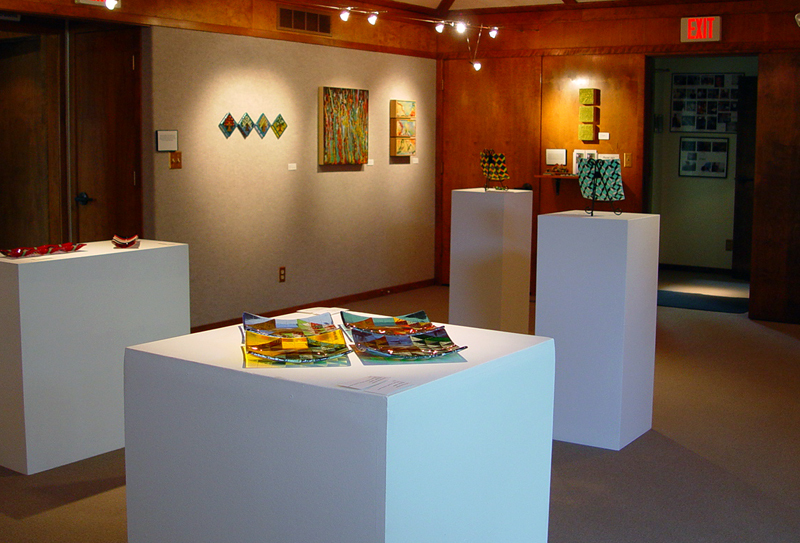 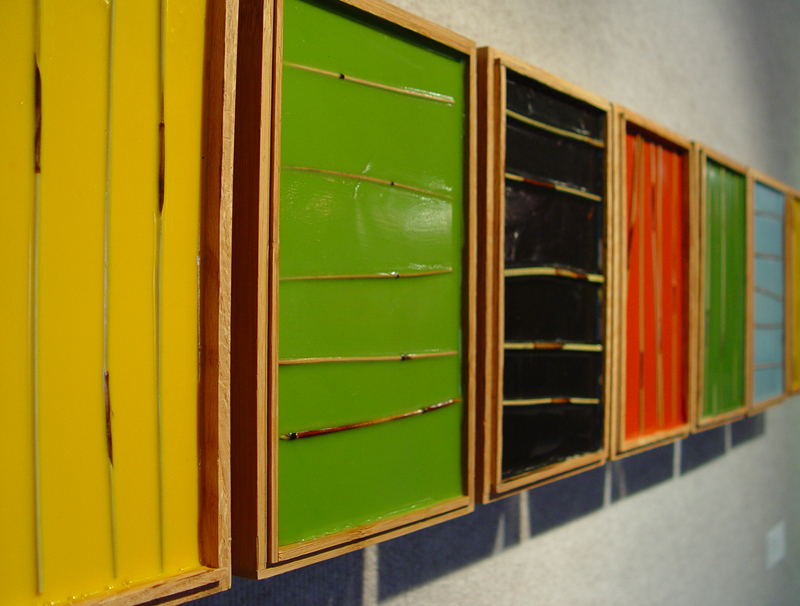 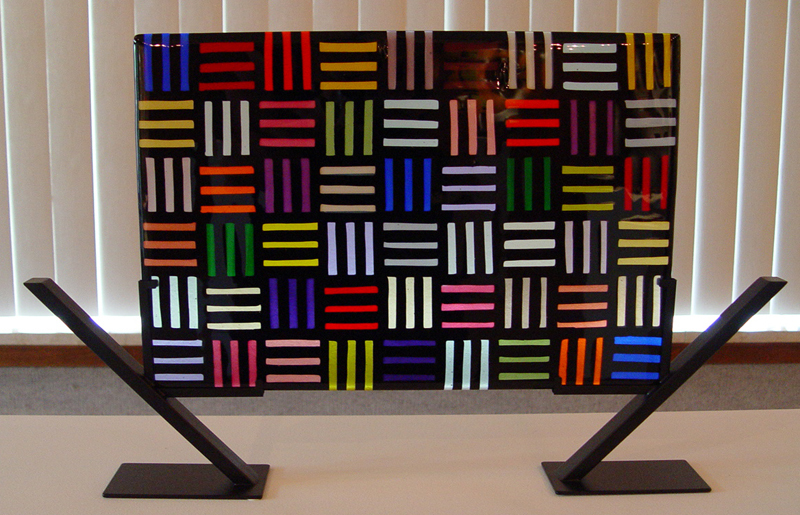 Strope Sohayda creates fused glass vessels and wall hangings that incorporate her love for quilting and bright colors.